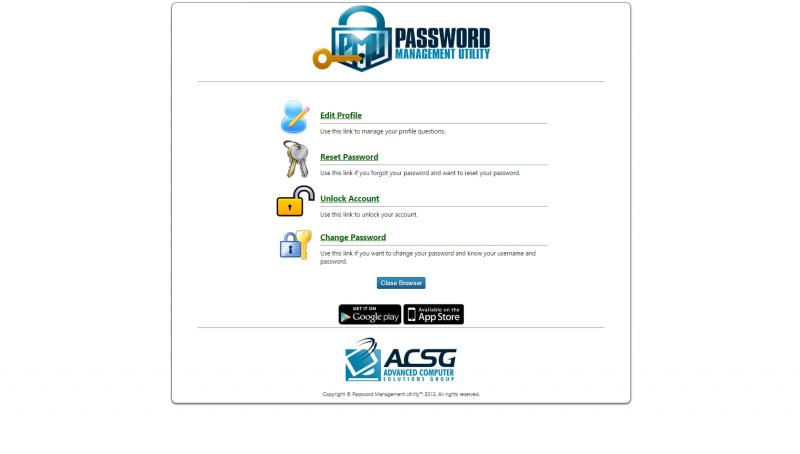 The ACSG Password Management Utility (PMU) is a secure, cloud based, self-service password management portal accompanied with native Android & iOS apps. 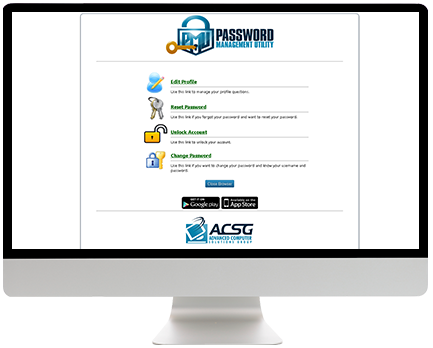 Its purpose is to allow individual end users to handle common issues related to their passwords without the need for time consuming IT calls. 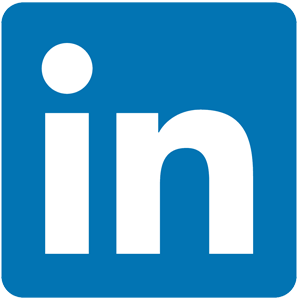 Nothing to install on premise. Native Android & iPhone apps.